New Delhi March 30, 2014: After a complaint was filed with the National Human Rights Commission (NHRC) on March 28, 2014, residents of Sukhdev Vihar, Okhla have sent a letter on 29 March to the Central Pollution Control Board (CPCB) and Delhi Pollution Control Committee (DPCC) against Delhi's Timarpur-Okhla Waste Management Co Pvt Ltd (TOWMCL) of M/s Jindal Urban Infrastructure Limited (JUIL), a company of M/s Jindal Saw Group Limited owned by Prithviraj Jindal. The complaint application is given below. The residents' letter reads, "The excessive dust fall was noticed, reported and inspected by you on dates 12/12/2013, 10/01/2014 and then 02/02/2014. We understand, the plant proponent were issued warning letter for 12/12/2013 incident and then on 10/01/2014 a show cause notice was issued. We were given to understand the reply to the show cause notice was not satisfactory. The incident for date 15/12/2013 was reported to the National Green Tribunal (NGT). The action report for incidents pertaining to dates 10/01/2014 and 02/02/2014 remained unreported to the NGT from CPCB / DPCC." The letter observes, "The incidents were frequent, serious to public health and warranted closer of the plant from CPCB / DPCC." Residents of Okhla are beginning to lose confidence in NGT. This is to draw your attention towards the some 100 doctors writing letters to the Prime Minister forewarning him of public health crisis in the Okhla residential areas and seeking protection from the war chemicals and other hazardous chemicals being emitted from the municipal waste incinerator plant located amidst Sukhdev Vihar, Hazi colony and other colonies. Prior to this Delhi High Court and Parliamentary Standing Committee on Urban Development has ruled against such hazardous incinerator/combustion technologies. Such plants pose a grave threat to health and environment of the residential areas of Narela-Bawana and Ghazipur as well. This issue has been highlighted recently in an episode of Satyamewa Jayate. I submit that more than 80 doctors from Holy Family Hospital in Okhla and some other hospitals across the city have written open letters to the Prime Minister's Office raising concerns about emissions from the Okhla waste-to-energy plant. In their letters, written on individual letterheads, doctors have said polluting emissions from the plant could lead to allergies, asthma, cancers and reproductive anomalies. (The Times of India, Mar 25, 2014 Doctors write to PM against Okhla plant, Jayashree Nandi). I submit that many of these doctors also live close to the waste-to-energy plant. Central Pollution Control Board checks at the plant site have revealed dioxin emissions to be way higher than the permissible limit. Residents are extremely concerned about fly ash from the plant falling on their homes and vehicles. Delhi Pollution Control Committee issued a show cause notice to the plant in January for not meeting the air quality standard. I submit that one of the main reasons for anxiety among residents and environmentalists is high dioxin levels around the plant. When CPCB monitored air quality there last October, dioxin level in stack 1 was 1.06ng TEQ/Nm3 (toxicity equivalent) and that in stack 2 was 0.93ng TEQ/Nm3 though safe level is 0.1ng TEQ/Nm3 only. I submit that the social cost of this technology as a large number of ragpickers stand to lose their jobs if waste-to-energy plants are widely adopted for waste management. Though they are common in the West, there is a raging debate even there about the suitability of waste-to-energy plants. In Delhi, the issue is even more relevant because there is no waste segregation at source which is why chances of non-biodegradable waste like plastics ending up in the incinerator is high. I submit that in February 2014 the 27th report of the Parliamentary Committee on Urban Development has recommended that "Incinerator plants should be stopped in all residential areas in all metropolitan & Big cities across the country" in its report to the Parliament. The report reads: "The Committee note that the Municipal Solid Waste is delivered by NDMC and MCD at the Okhla Power Plant site. Although it is claimed that "only non Hazardous Municipal Solid Waste will be treated at the facility", the fact is that Delhi's mixed municipal solid waste has characteristics of hazardous waste. 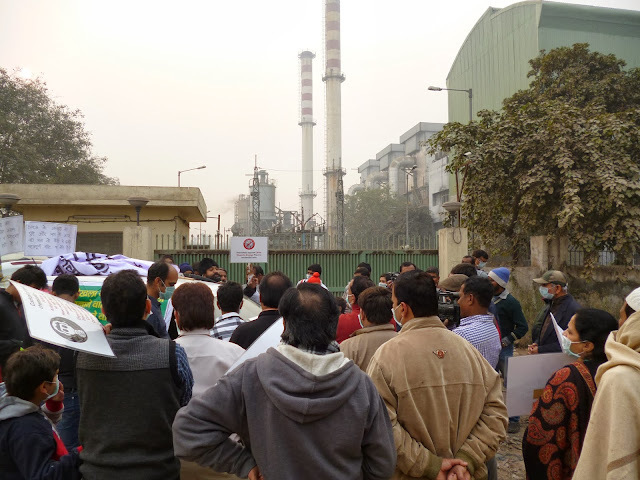 MCD, Delhi government and Central Government have shown sheer callousness towards hazardous emissions from municipal incinerators that cause serious environmental and health problems to the people living not only near them but thousands of kilometers away from the source. The Committee feel anguished and dissatisfied with the reply of the Ministry that the soot in the atmosphere is reported to be within norms as it is monitored by Delhi Pollution Control Board. Therefore, the Committee recommend that these kinds of Waste Incinerator Plants should be stopped in all residential areas in all metropolitan & Big cities across the country." It is an endorsement of our position. The report states, "The Committee find that there are three major Sanitary Land Fill (SLF) sites in Delhi (Ghazipur, Okhla and Bhalaswa- Jahangirpuri,) which have turned into huge mountains of garbage and far exceeded their life span." The report states, "During the hearing held on 15th May, 2007 in the matter relating to the stay on Govt. subsidies for projects on recovery of energy from municipal solid waste, Hon'ble Supreme Court has permitted the Ministry of New and Renewable Energy to go ahead with setting up of 5 waste-to-energy projects to study the viability of such projects. Hon'ble Supreme Court also directed that no projects for waste-to-energy be taken up till 5 pilot projects are completed. As per the aforesaid direction, the Ministry of New and Renewable Energy formulated "Programme on Energy Recovery from Municipal Solid Waste for Setting-up of 5 Pilot Projects". The programme provides central financial assistance @ 2.00 crore per megawatt limited to Rs. 10.00 crore per project for 5 pilot set up by State Nodal Agencies, Urban Local Bodies/ Municipal Corporations or entrepreneurs. So far 5 projects have been approved in the cities Bengaluru, Hyderabad, New Delhi and Pune..."
I submit that the report mentions one of these five projects as M/s Timarpur Okhla Waste Management Pvt. Ltd., (TOWMCL), Jindal ITF Centre, 28 Shivaji Marg, New Delhi (Promoted by Jindal Urban Infrastructure Ltd. The location is mentioned as Old NDMC Compost plant, New Okhla tank, New Delhi. I submit that the reference to this Okhla based plant as one of the 5 projects is deceptively worded to give the impression that it is one of those 5 projects which was approved by the Supreme Court. The RTI reply has already revealed that it was not one of those 5 projects. I submit that the Delhi High Court’s judgment dated January 15, 2013 establishes the health impacts from the incinerator based on existing medical literature. I am quoting the same below from the order. 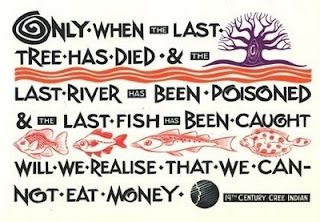 World Health Organisation also has a fact sheet on it. I submit that the Delhi High Court bench of Chief Justice came to the rescue of residents of Okhla’s Sukhdev Vihar who had filed case against operation of the biomedical waste incinerator due to adverse effect on their health. The judgment was pronounced on January 15, 2013. Okhla medical waste incinerator was supposed to be shut down by 15 July, 2013 as per the order of the Delhi High Court. In order to escape contempt of court, the Synergy company, the biomedical waste incinerator operator has filed a review application and has chosen not to comply with the Court's order with no consequence so far. I submit that the observations made in the judgment will have far reaching implications. It reads: “Both older and more modern incinerators can contribute to the contamination of local soil and vegetation with dioxins and heavy metals. In several European countries, cow‟s milk from farms located in the vicinity of incinerators has been found to contain elevated levels of dioxin, in some cases above regulatory limits. Increased levels of dioxins have been found in the tissues of residents near to incinerators in the UK, Spain and Japan. At anincinerator in Finland, mercury was increased in hair of residents living in the vicinity. Children living near a modern incinerator in Spain were found to have elevated levels of urinary thioethers, a biomarker of toxic exposure. “ It notes that “After 2 years of operation of incinerator, dioxins levels were found increased by about 25% in both groups living between 0.5 to 1.5 and 3.5 to 4.0 km away (201 people) of people. In the repeat analysis, the increase was in the range of 10-15%”. I submit that the judgment found that “Residents living within 10 km of an incinerator, refinery, and waste disposal site” showed “Significant increase in laryngeal cancer in men living with closer proximity to the incinerator and other pollution sources”. The “Residents living around an incinerator and other pollution sources” showed “Significant increase in lung cancer related specifically to theincinerator”. The “People living within 7.5 km of 72 incinerators” displayed “Risks of all cancers and specifically of stomach, colorectal, liver and lung cancer increased with closer proximity to incinerators”. I submit that this judgment is quite important relevant for the Okhla’s municipal waste incineration power plant is being operated by Delhi's Timarpur-Okhla Waste Management Co Pvt Ltd (TOWMCL) of M/s Jindal Urban Infrastructure Limited (JUIL), a company of M/s Jindal Saw Group Limited. The plant is owned by Prithviraj Jindal. In view of the above, I seek Commission's urgent intervention to address the issue of health rights of the residents of the present and future generations. In this Hi-Tech era, the evolving global businesses are looking for upgraded technical solutions to replace their redundant equipment with the advanced ones.